Marin County’s housing market followed the typical seasonal pattern in the first quarter of 2018, with a slow January and February, then a jump in March. March sales, however, were constrained by a lack of homes for sale, which have been continually declining. Overall in the first quarter, there were about 16 percent more sales of homes priced at more than $1 million than during the same period last year. 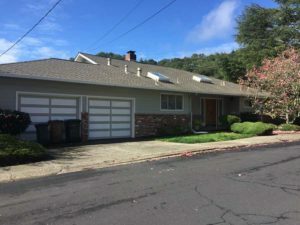 Looking Forward: While strong open-house traffic in March suggests that homebuyers in Marin County communities are eager to re-enter the market, a lack of homes sale may hold back sales during the spring season. Buyers do not seem yet to be affected by rising mortgage rates or the tax-reform package. To drill down on specific Marin County neighborhoods, click here to see the Pacific Union Q1 Real Estate Report in full. Homebuyer competition in the Bay Area remains as intense as ever this spring. Pacific Union Chief Economist Selma Hepp offers a detailed analysis of local housing market conditions in March. Sales of homes priced higher than $1 million increased by 30 percent in the Bay Area in the first quarter, with even stronger gains in the South Bay and Silicon Valley. Demand for homes priced above $3 million remains robust, jumping by 45 percent from last year’s first quarter. Inventory has declined on average by 10 percent to 20 percent on an annual basis in the last year. In San Francisco, new listings are down across all price ranges, for an overall 23 percent decline. Sonoma, Contra Costa, and San Mateo counties saw slight increases in new listings, though mostly in higher price ranges. Newly constructed condominium inventory in San Francisco is at half the level from a year ago, with about 600 units on the market. Appreciation soared in March, with the median price in the Bay Area increasing by 19 percent year over year. Santa Clara County’s median price jumped by 34 percent year over year in March. 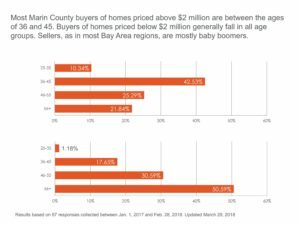 The share of homes selling for more than asking price reached a high at 74 percent for the Bay Area and 86 percent in Santa Clara County. 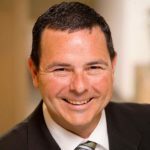 Sonoma County saw the lowest number of premiums, with 52 percent of homes selling for more than asking price. 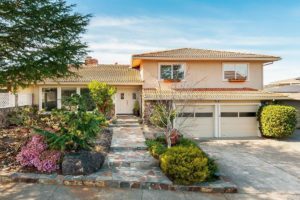 Elegant and inviting 5 beds/3.5 baths home overlooking some of the most beautiful views in Novato. Each room is spacious and well-appointed, but retains an intimate and cozy feel. Ideal for entertaining, with a large kitchen, living & family rooms & two fireplaces inside, and terraces, patio areas, mature gardens, a pool and decks outside. Located on over a quarter acre on a quiet cul-de-sac, this is the home you’ve been waiting for. Sold off market! Available for the first time in over 46 years. One of the very best lots in desirable Oak Manor, this was the original builder’s own custom property. 3BR/2BA home sits on a premium level lot of over 1/4 acre with all-day sun. Soaring cathedral ceilings, open floorplan, and tremendous pride of ownership. Large yard offers sparkling pool and many play areas. Just a couple of blocks from award-winning Manor School, and close to trails, the perfect home for hikers, bikers, and neighborhood lovers!